Tap, tap...is this thing on? Goodness, I've taken a longer than anticipated blog break over this holiday season. It's been so much fun taking the time to really enjoy the holidays with the kids and to not be too stressed about much of anything. Oh, and eating far too much chocolate! Before Christmas was upon us, I had an opportunity to create a sweet shadow box, featuring photos of my sweet munchkins. The box actually held some embellishments (see photo below) before it became a craft project. The box held these cute resin embellishments and once I removed the gears (this just happens to be the embellishments that I have) I covered the box with tissue tape. I then added a layer of Art Anthology dimensional paint. I love their paints because they leave a great shine, with just a hint of glitter, when they're dry. Oh, and they're transparent so you can still see the tissue tape through the paint. Once my paint was dry, I added decorative paper and photos. On this panel, I added a hand cut hill, with Liquid Pearls snow, and two wooden trees that were altered with Distress Embossing Powder. The little star is a sticker and I just added shine with a glitter pen. I used Ali Edwards stamps to add sentiments to my photos. A few wooden snowflakes were embossed with Wendy Vecchi's Cornflower Blue embossing powder and I added the number 25 to this snowflake in the corner. One snowflake was layered on top of a metal ring and the last photo received two chipboard pieces and a tiny bottle filled with red and green sequins. Wishing you all a Happy New Year! Stay tuned for more projects...coming up next week! Seems I keep running a week behind on the Splitcoast Mix-Ability challenges! I actually had this card created just a few days after the challenge was posted, but am just now getting around the posting. Ah, the holidays, they're keeping me hopping and away from posting! Last week's challenge was to create a card using inchies. Remember inchies? Tiny little squares that can be used to decorate the background of a card or to highlight a particular image....It's also a great way to use up some of your gelli plate prints! Love 'em! My card started with some vintage text paper, pasted on a piece of chipboard. I then added some embossing paste through a stencil. Once the paste was dry, I mixed umber acrylic paint with glazing medium (use equal parts of both). I brushed the paint on over the text/paste, waiting about a minute, and then used a baby wipe to remove the access. What's left behind is a fabulously aged background! I then used a 1" square punch to punch out four squares from a scrap piece of tag that had been covered with gesso and Distress Stains. Each square was then mounted on a 1 1/4" square of brown cardstock. I added the tiniest bit of black text to each square, using the Typewriter Text background stamp from Sweet 'n Sassy. The little circle is from the Seeing Spots set (also from SNSS) and the image was embossed with Wendy Vecchi embossing powder. I die cut a tiny butterfly shape, using the Monarch Dies set, and then stamped the detail using the coordinating Majestic Monarchs set. Finally, I added a bit of gold twine around the bottom of the inchie piece before attaching to a plain card base. Now...on to complete this week's Mix-Ability challenge! Enjoy! My coffee lovin' card features a darling stamp set from Sweet 'n Sassy; Pick Me Up. The stamp set contains six images and six coffee-themed sentiments. There's also a coordinating die set for the stamp set...yippee! My card actually started out as an ATC...can you see it? I created the entire ATC, including all of the patterned paper, stamped image, and attaching of the sentiment before I glued the entire piece onto a standard size card, which has been embossing using a Tim Holtz embossing folder. Be sure to continue on the hop, and leave comments, so that you're entered into the prize drawings. Did you see all that's up for grabs? A BIG thank you to all of our sponsors! Click here to get to the beginning of the hop. Enjoy! Links to more crafty goodness below! I found a brand new (new to me) challenge last week and I had to play along! It's the Mixed Media Place challenge, found it from following a link on France Papillon's blog (she's an insanely talented mixed media artist), and this month's challenge was to create a 3-D project. I knew that I was going to use a cut out photo of my boys as the centerpiece of the clock so I placed the photo on the clock back and then laid out the embellishments around the photo. This helped me put everything into the correct spot and that's why the right hand side of the circle only has the moss...the photo will be standing in front of the moss. I love the tiny bird nest...so cute and it works perfectly with the moss and mesh flower petals. The metal swirls on top of the clock are lots of fun too! I'm just giddy about how this turned out and this piece is just perfect on our fireplace mantle (as shown in the first photo of this post). I think my hubby is going to add a tiny light on the inside of the clock so that you can peek in to see all of the decorative goodness inside...of course my darling boys are the best part of the entire piece!! Love those smoochie-boys! Be sure to check out this month's Mixed Media Place challenge!! Happy Monday! Today Sweet 'n Sassy is continuing their month long celebration, featuring a select group of sets. (Hit the SNSS blog to see more goodies!) My card features the sentiment set, The Future. This set includes 10 sentiments for only $15! What a great deal! I used a whole bunch of other sets on my card (why use just one?!) today. The text background, over the grey polka dot paper is the Friendship Script background set. This is a stamp that I use again and again...it's such a great image to use as an accent or background. Love it! I also framed my sentiment using the Decorative Frames stamp set. I adore being able to add aa edge design to the frame...how divine! Finally, I couldn't create a card without including some butterflies so I die cut three of these beauties, using the Majestic Monarchs die set and then used the matching stamps to decorate. (I just die cut the butterflies out of a piece of scrap paper that was already inked). The velvet flower and stick pins are from Maya Road. Hope you enjoyed today's card! 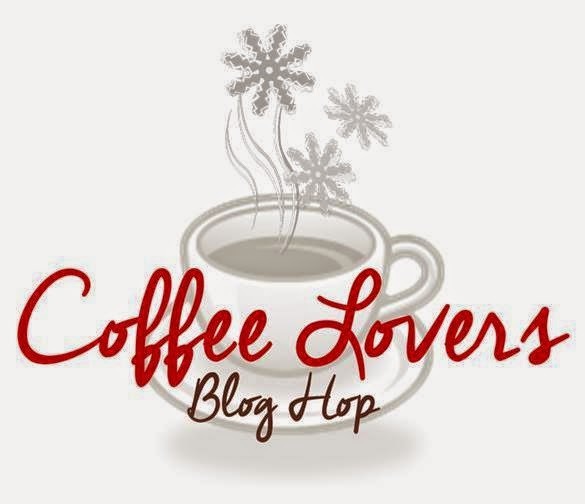 Be sure to check back tomorrow or a new mixed media 3-D project, Wednesday is the Coffee Lovers Blog Hop (LOTS of prizes up for grabs), Thursday I'll be sharing a card featuring some fun mixed media techniques, and Friday Sweet 'n Sassy will be featuring another set! Lots of action on the blog this week...don't miss the fun! Sweet 'n Sassy Favorite Stamp Sets of 2014 - Shape Up! During the entire month of December, the Sweet 'n Sassy design team is going to be featuring some of our favorite stamp sets from this year. Today we're celebrating the super sweet Shape Up stamp set and coordinating dies. The thing I love, love, love about this set is that you can create anything with the shapes...flowers, background designs, or birthday balloons! I used the tear drop die to cut out two shapes and then stamped the design with the coordinating stamp. I added a few pieces of twine to the back of each balloon and attached both balloons to my completed card. Using Liquid Pearls added just a tiny bit of extra design on the balloons and card front. Fun!! The sentiment is from the Sunshine & Flowers set. (Another keeper!) How about a few other cards using this same set...take a peek! On this card I used the leaf shape die to cut out a bunch of shapes from painted paper towels. Super quick and easy card! The sentiment is from the Long Stem Silhouettes set. This card features an ombre design, using the arrow die and coordinating stamp. Just grab a few different ink colors to create this look. This would be great with rainbow colors as well! The sentiment on this card is from the Inspirational Word Art stamp set. So many options with just one stamp set and die...head on over to Sweet 'n Sassy and grab a this set and dies for yourself! Enjoy! I'm playing along with the Mix-ability Challenge over on Splitcoast again this week. This week's challenge was to create a snowy scene, which isn't too hard for me as those of us in the northeast to imagine as we got hit with a good 'ol snowstorm a few days ago! I started with a Tim Holtz mini burlap canvases...I love these babies, only 3"x3"...so tiny and cute! I added a bit of Distress Paint to the background, just by swiping my paint-covered finger across the burlap. I then used Wendy Vecchi embossing paste to create snow across the top of the canvas (and on the hill under the pine trees). I added a fine glitter to the paste, while it was still wet. The moon is just a die cut piece of text paper, which I aged with a few Distress Inks. The hills and pine trees are from the Hillside Edges Die set from Sweet 'n Sassy (totally fun die set...you need it!) The tree branch and bird is from a Tim Holtz die. I added a bit more glitter and rhinestone holly berries to the branches. The bird is embossed with Wendy Vecchi embossing powder (Cornflower Blue) and stamped with the Vintage Mesh background stamp, also from Wendy. I also added a little bird wing and a tiny "hope" sticker. Head over the the SCS Mix-ability Challenge to check out all of the other creations! I have a photo heavy post for you today...sharing a mini album that I created using supplies from a kit club. I'm not much of a scrapbooker (I've been working on one album for about six years...I don't think it's going to ever be finished! LOL! ), but I'm a sucker for mini albums. They're easy to create and you can finish one up in no time flat! And I love documenting one moment in time, such as a trip, a holiday, or only travel photos, such as the theme of this album. Forgive the glare on some of these pages...Photographing pictures in my studio at night is a bear! LOL! The end of the pocket pages...Here's a look at a completed insert. Each of the photos were mounted on cardstock. I kept the non-pocket pages pretty simple. Just mounted the photos and added some decoration and/or text and stamping. All of my photos are printed to 5"x7". I have one empty page left in the album and that's where I'll be putting more of the stories of our trips this year. My plan is to use my old typewriter for the journaling...fabulous! That's my completed album! Super fun to make and a great keepsake. My next album, the one I created in Julie's class, is going to focus on photos of all the amazing designers and teachers I've had met over the past few years. I can't wait to get started! I'm posting on the Sweet 'n Sassy blog today! Hop on over and check out all the details on the above project!